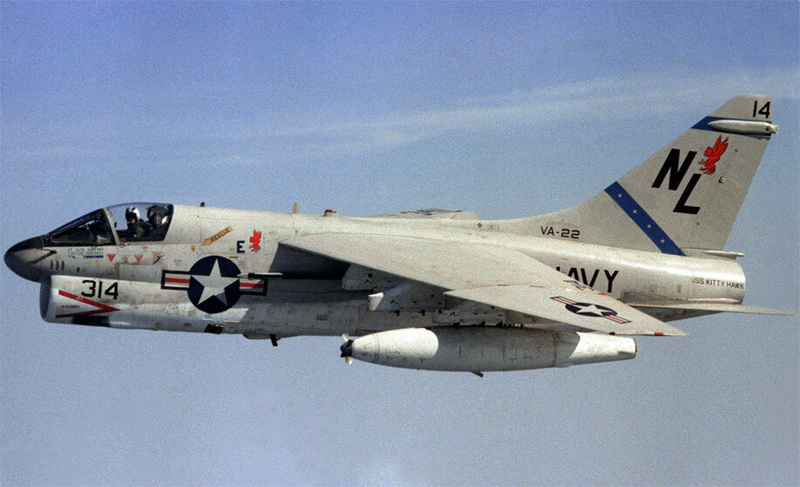 The A-7 originated from a US Navy requirement for an aircraft to replace the A-4 Skyhawk. One feature of the specification for the new aircraft was that it should be based on an existing design to decrease costs and speed delivery. Thus the A-7 design was of similar configuration to the F-8 Crusader (but without that aircraft’s variable incidence wing). 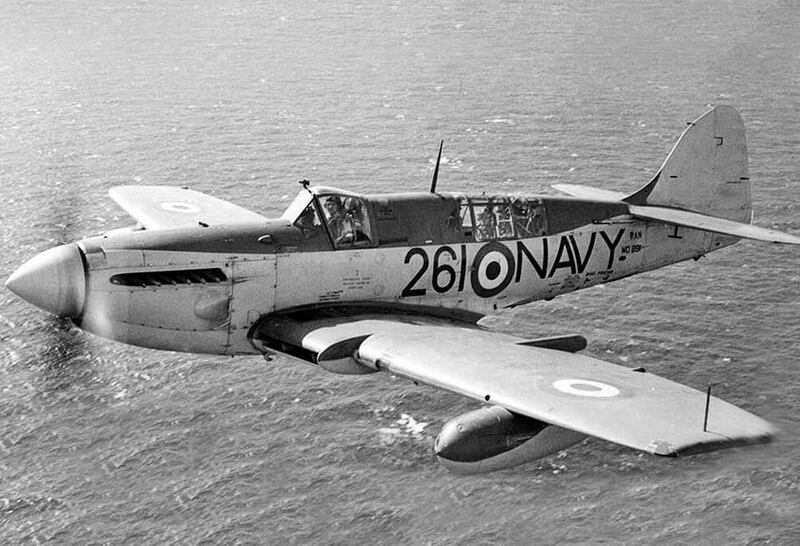 It was however a completely new design with minimal commonality between the two aircraft. 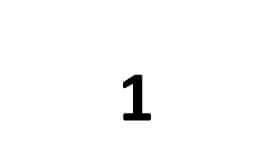 The prototype first flew in 1965 and deliveries to the US Navy began a year later. 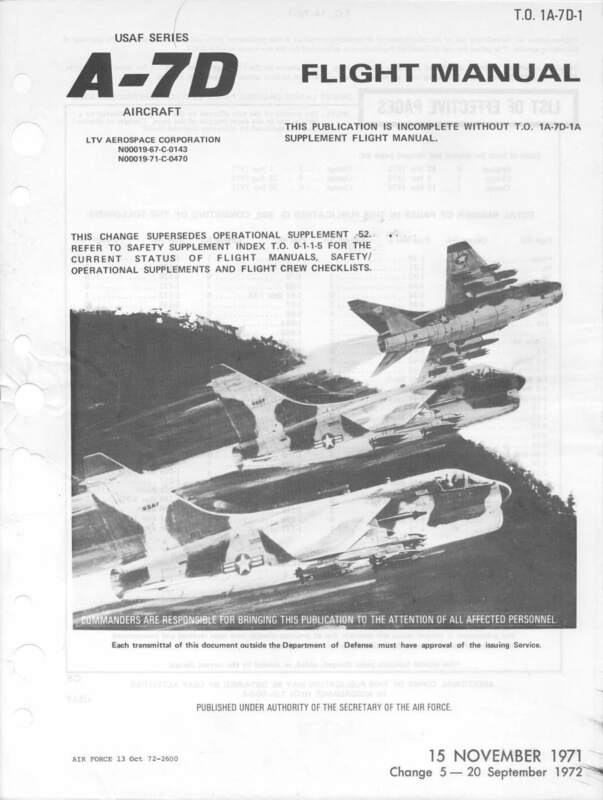 By that time the USAF had become interested in a version as a subsonic tactical fighter. 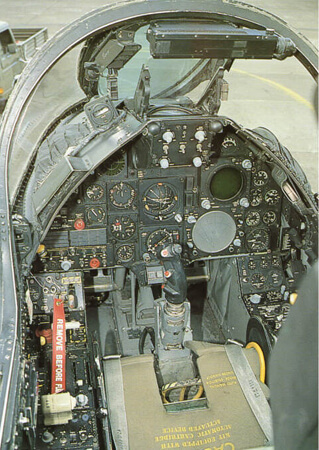 The main change between the early US Navy versions and the new A-7D for the USAF was the removal of naval equipment and the substitution of the Allison built Rolls-Royce Spey TF41 turbofan engine in place of the Pratt & Whitney TF30. Later US Navy variants used both the TF30 and TF41 engines. 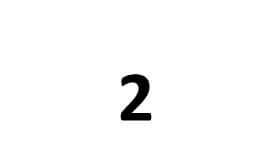 We offer two titles for the A-7. Each title is US$9.95. The first title covers US Navy variants, and the second covers the first USAF variant. The files have been scanned from the original flight manuals (unless otherwise stated) and retain any colour pages. 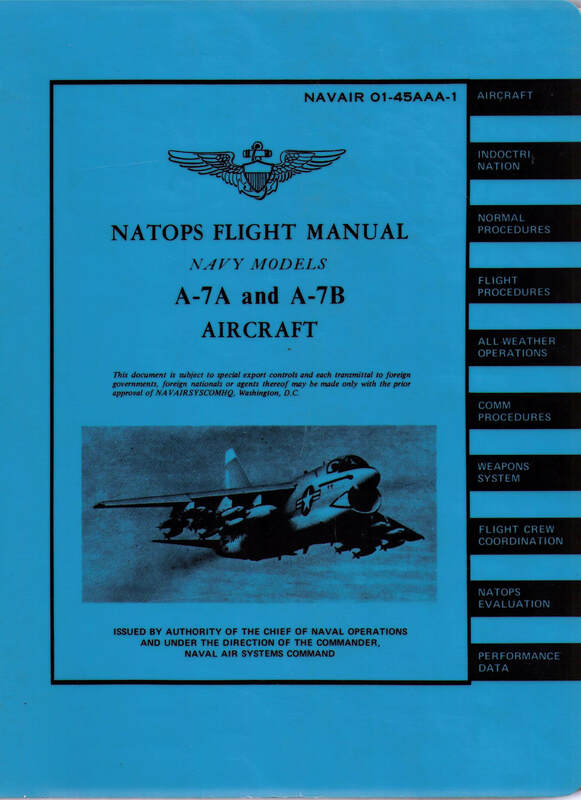 US Navy NATOPS Flight Manual for the A-7A and A-7B, NAVAIR 01-45AAA-1 dated 1-9-71 with approx 637 pages. 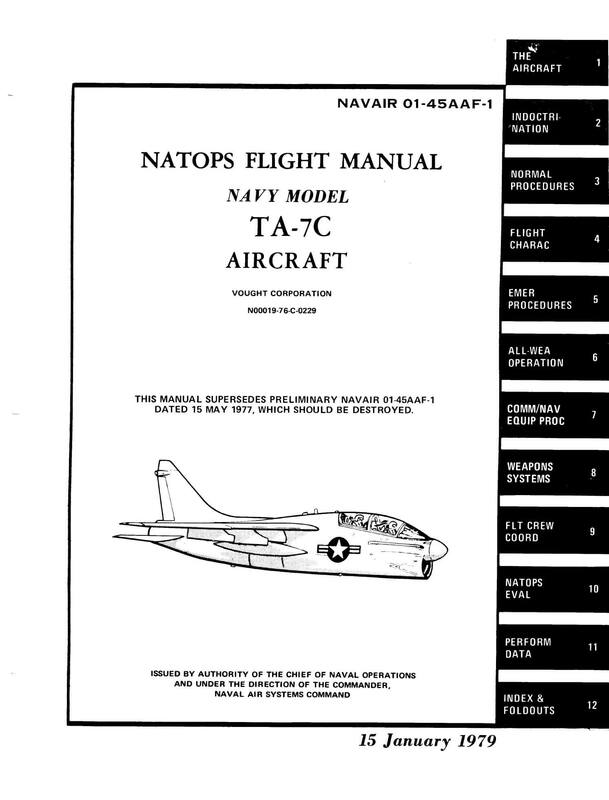 US Navy NATOPS Flight Manual for the TA-7C, NAVAIR 01-45AAF-1 dated 15-1-79 with approx 703 pages. 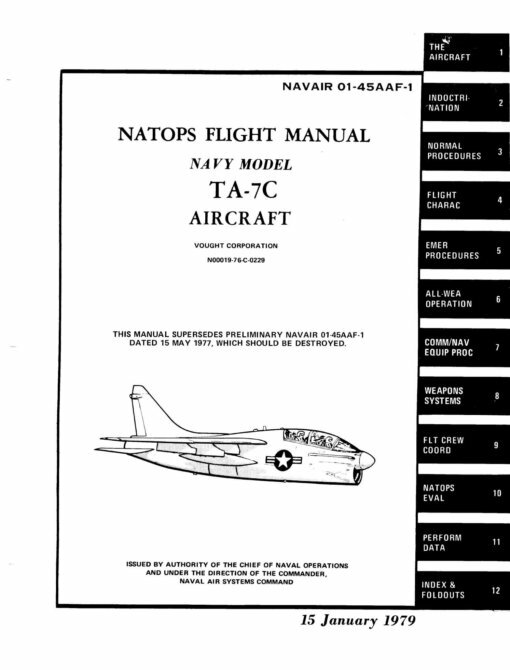 USAF Flight Manual for the A-7D, T.O. 1A-7D-1 dated 15-11-71, revised to 20-9-72, with approx 601 pages. 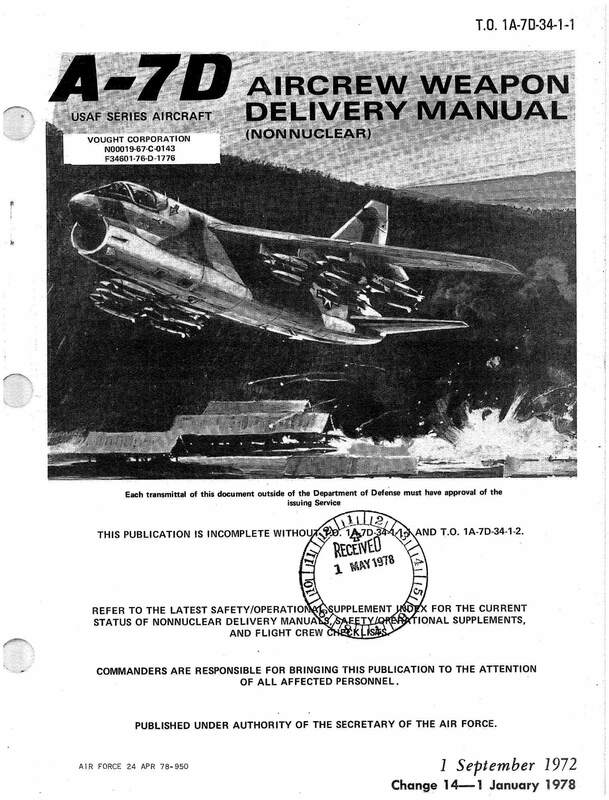 USAF Aircrew Weapon Delivery Manual (Non-Nuclear) T.O. 1A-7D-34-1-1 dated 1-9-72, revised to 1-1-78, with approx 446 pages.